My mom likes to say that anything worth doing is worth overdoing. 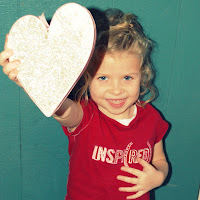 Can you guess which kindergarten Valentine box was made by her granddaughter? 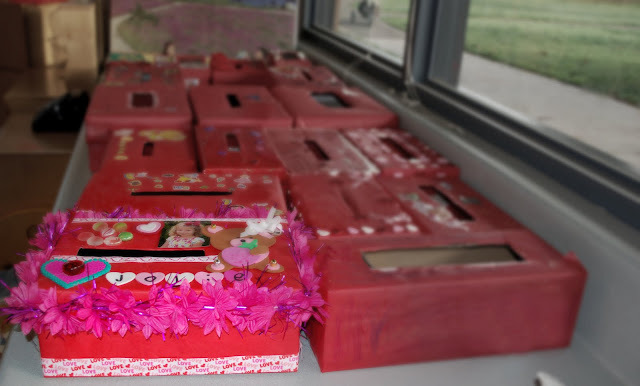 The class was told they could decorate their boxes with crayons and stickers. 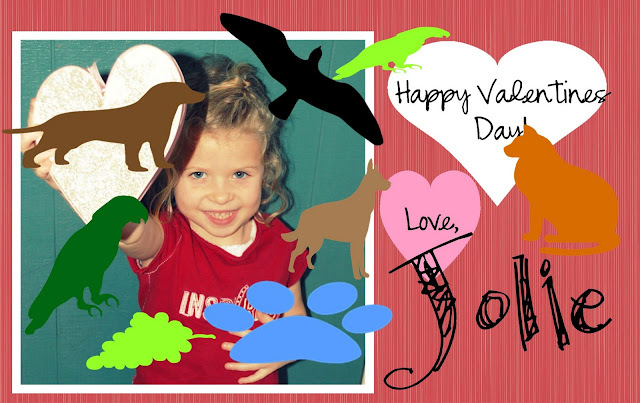 So, Jolie used crayons and stickers. And ribbon. And craft foam. And flowers. And tinsel. And melting beads. And her rock collection. And a picture of herself. In addition to Grandma Susan's influence, I suppose credit should also be given to Jack, from whom she picked up the phrase, "Go big or go home." * No candy, etc. etc. My friend Lee, a professional education reformist who apparently makes house calls, stopped by while we were tackling the labels and suggested that the assignment was creatively stifling. Or something like that. Not wanting to find out what sort of dismal academic trajectory that might set us on, I decided to forgo the Tinkerbell Valentines from Walgreens, in favor of something more expressive. Then, thinking it could use a little something extra, I sat Jolie down at the computer and showed her how to add basic clipart images. 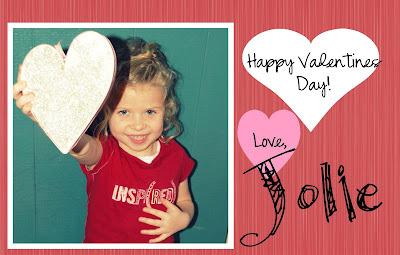 If she would like, I told her, she could drag a few little details onto her Valentine to make it special. Hearts, flowers, etc. And so, she went to work. And then Cal woke up from his nap. And then Jack got home. Is this the price we pay to encourage creative expression? Because let's be honest, that thing is hideous. I had to seriously swallow my pride when I uploaded it to Costco and ordered 30 prints. And one enormously proud kindergartner, off to school to wow her friends.